To accompany a solo traveler with special needs to or from an arrival or departure gate (such as an unaccompanied child or an elderly or disabled passenger), you must obtain a gate pass at the ticket counter of the airline on which the person is flying. Please note that gate passes are issued solely at the discretion of the airline, and not all airlines will issue a gate pass. Please verify your airline’s policy prior to your trip to the airport. If your airline does issue gate passes, be sure to allow additional time for potential lines at the ticket counter, and check with the airline in advance to make sure their ticket counter is open when requesting a gate pass for an arriving flight. Please be prepared to provide government-issued photo identification (e.g. driver's license) and flight information. Only one person may be allowed to accompany a special-needs passenger to or from the gate. Contact your airline for additional information. 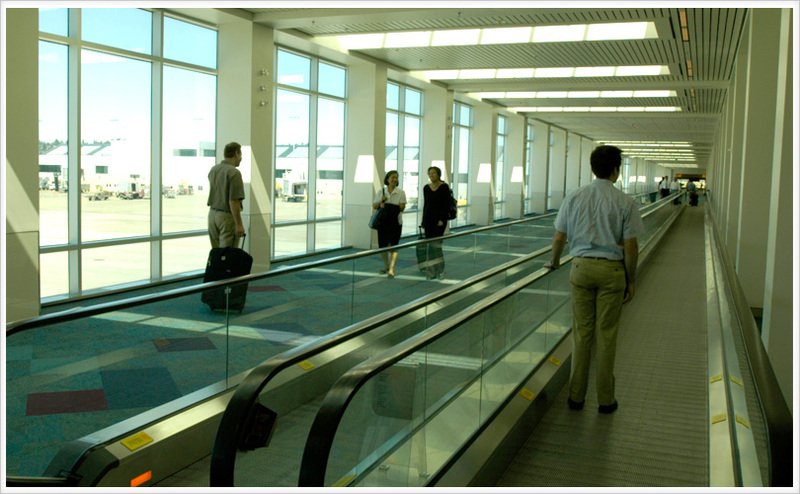 In the event of an emergency, ARAs provide mobility-impaired persons means to obtain assistance. ARAs are located on concourses C and D, and near the D/E checkpoint and Clocktower Plaza. During peak periods, Volunteer Information Persons (VIPs) stand ready throughout the terminal to provide airport information; and directions to gates, restaurants and anywhere else you need to go. VIPs are dressed in royal blue sweaters or shirts featuring the “PDX Volunteer” logo. Two information booths are located in the baggage claim area. Parking for persons with disabilities is available at discounted rates in most lots. More information regarding disabled parking and rates can be found on our Parking page. Lactation rooms for individuals who wish to express milk prior to or following a flight are located post-security just past the ABC and DE security checkpoints. One is located across from Capers Café near the South Lobby and the other is located near Gate D2. These are dedicated spaces that offer privacy for travelers and airport employees who need to express milk. The rooms are designed for use by people without their infants; however, those traveling with infants who are seeking a quiet and private place to nurse their babies may also use these rooms. Each room is equipped with ample counter space, electrical outlets, a sink & a chair. 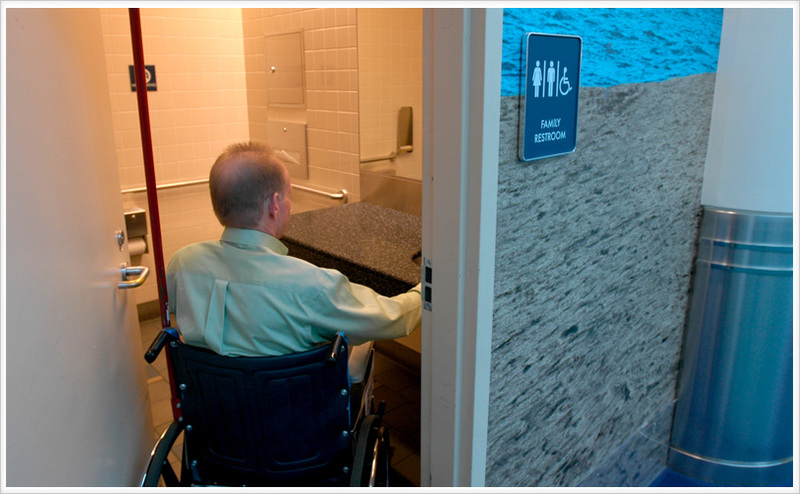 Both rooms are ADA compliant and accessible. If you are a passenger with a disability and you will be traveling with your mobility device, here are a few suggestions to make your airport experience trouble-free and more enjoyable. Please note that Segway mobility devices are not authorized to be stored on most carriers. When checking in for your flight on the day of departure, confirm all of the above information with an airline agent. Arrive at your departure gate at least one hour prior to your scheduled departure. Please let the airline staff know your wheelchair’s (or other mobility device’s) specific battery type, and identify the battery as either spillable or non-spillable so that airline staff can adhere to federal “dangerous goods” handling procedures. Before arriving at the airport, it is best if you can educate yourself on how to gain access to the battery compartment and bring a specialized tool, if needed. Some mobility devices have batteries that can only be accessed by a technician. If this is the case, you may not be able to fly with your mobility device. Check with your air carrier to be sure. If space is available, many airlines will allow folding wheelchairs to be stowed in the cabin on a first-ask, first-serve basis. If cabin storage is not available, airlines will typically allow you to check your wheelchair as baggage at either the ticket counter or the departure gate. 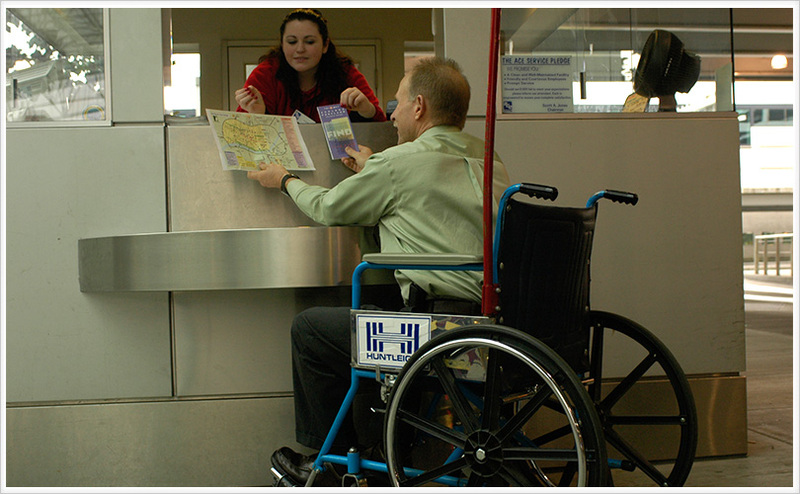 Your airline will provide a wheelchair and wheelchair aid to assist you to your gate, if needed. Advise your airline in advance if you wish to use your mobility device in your connecting city. They’ll let you know if you will have sufficient time in your connecting city. If not, the airline can provide you with their wheelchair service. The width of aisle space varies from aircraft to aircraft. Some aisle width spaces can be fairly narrow and difficult to navigate with an airline’s onboard wheelchair. Ask your airline about the aisle width before confirming reservations, if you are concerned about the wheelchair transfer process from the gate onto the aircraft. Policies vary from airline to airline regarding mobility devices in general. To learn more about your airline’s procedures and requirements for mobility devices, please visit your airline’s website or call their reservation desk. All-User restrooms are located near Gates A2, C3 and D1. 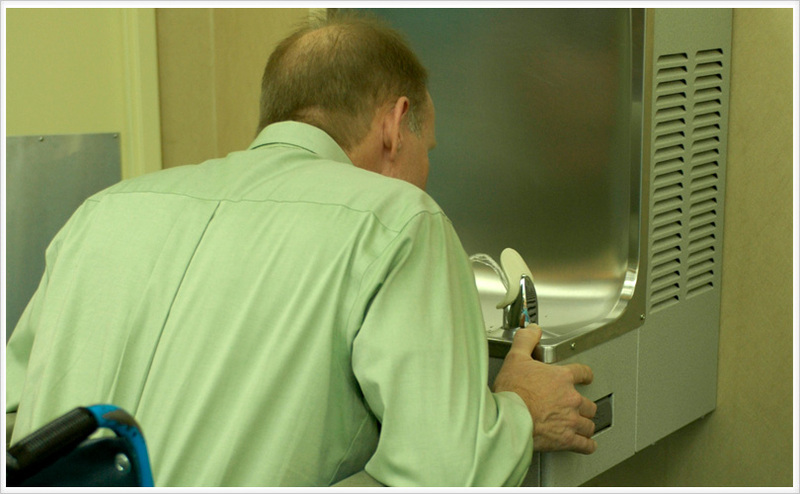 Service animal and pet relief areas are located both pre- and post-security. Pre-security, find the area outside baggage claim at the north end of the terminal (lower level). The post-security pet relief area is located in the Concourse Connector, at the south end closest to gates C1/C2. Portland International Airport offers mailing services, and baggage storage and delivery. Mailing services include a Mailsafe Express mailing station at each security checkpoint which allows you to mail prohibited items back to your home (or destination) if you accidently bring them to the checkpoint. Envelopes and first-class postage stamps can be purchased pre-security at The Oregonian News store near the A/B/C security checkpoint and at Your Northwest Travel Mart store near the D/E security checkpoint. Mail drops are located at the South Service Center in Clocktower Plaza. Once daily pick-ups are provided Monday through Saturday. UPS and FedEx also have drop boxes at the South Service Center. Portland Provisions provides storage and delivery for baggage and personal property. They are located at the north end of the baggage claim area, past carousel 10; and are open daily from 8:30 a.m. to 1:30 a.m. Please call them at 503.284.1292 for fees and additional information. A TTY for the deaf or hard of hearing can be found at the information booth on the north end of baggage claim near bag carousel 8. For general information, dial 1.800.815.4636 (TTY). Aira is a smart phone application used to assist people with some form of sight impairment. Those needing assistance use their smartphone to connect with an operator who can effectively “see” what the visually impaired person cannot by using the camera on their phone or specially designed smart glasses (with an incorporated camera) and personally guide them through a space or experience. Once users have downloaded the app, they can connect to an agent free of charge while on PDX property. Both the Android and Apple version of the app are available free of charge on the app stores. Visual paging is available on all concourses, as well as Baggage Claim and the central terminal food court. Contact your airline in advance and advise them that you will need assistance upon arrival. Tell them where and what time to meet you in the garage or at the valet parking station) and the number of bags you will be carrying. If parking in the garage, park in the ADA designated spaces near the elevators (or in a non-disabled parking space, if you wish to take your disabled parking permit with you when traveling). Once parked, call wheelchair dispatch at 503.249.7979 and advise them where to meet you. Courtesy phones are located in the elevator cores and airport operators are available from 6:00 a.m. to 11:30 p.m. If using valet parking, please ask the attendant to request the wheelchair for you. Parking charges apply for the garage and valet parking. For wheelchair service or blind assists please contact your airline in advance if you are traveling; otherwise, use any of the white courtesy phones located throughout the terminal to contact an airport operator for assistance from 6:00 a.m. to 11:30 p.m. Your wheelchair (or blind assist) aid will assist you with your luggage. There is no charge for wheelchair assistance, but gratuities are appreciated. Please allow up to 30 minutes for your wheelchair to arrive during peak travel times from 5:00 am to 7:30 am and from 10:00 am to 2:00 pm. If you cannot walk short distances, you can park in the garage or at the valet parking station in front of the terminal, departure (upper) level, and wait for wheelchair assistance - applicable parking fees apply. See “Parking” below for disabled parking discount information, and instructions on how to arrange for wheelchair assistance from the garage or the valet parking station to your gate. If you can walk short distances, disabled loading and unloading spaces are available at the north and south ends of the upper and lower roadways in front of the terminal. Only active loading or unloading in these areas is allowed, and a driver is required to remain with the vehicle at all times. Unoccupied vehicles may be cited and/or towed. If you need to wait for wheelchair assistance, please do so in the parking garage or valet parking area. For more information for how we assist visually impaired travelers, please read the previous section - 'Visually Impaired Travelers'. The Concourse Connector links the north and south concourses and features moving sidewalks from one end to the other. Drinking fountains throughout the airport offer convenient wheelchair access. 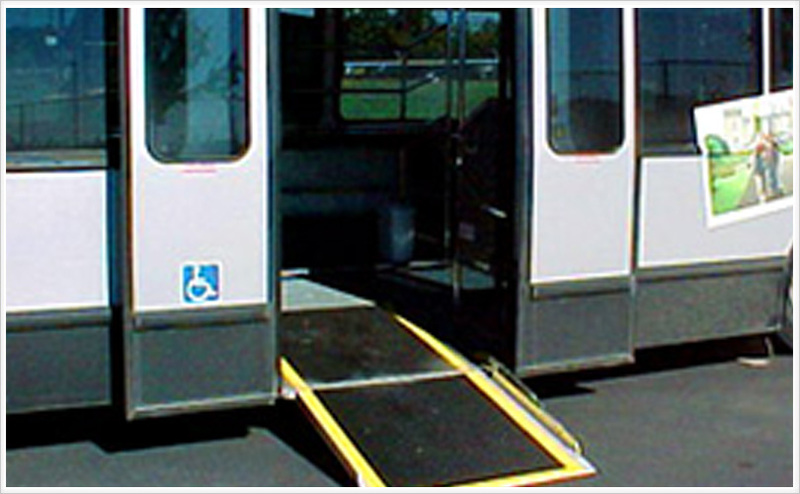 Airport parking lot shuttle buses are equipped with ramps and accessible. 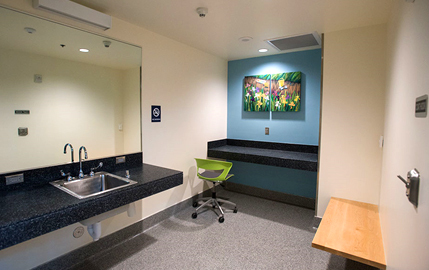 Spacious family restrooms are available near gates A-2, C-3 and D-1. The ground transportation information booth on the arrivals level roadway provides an alternate counter for easy wheelchair access. 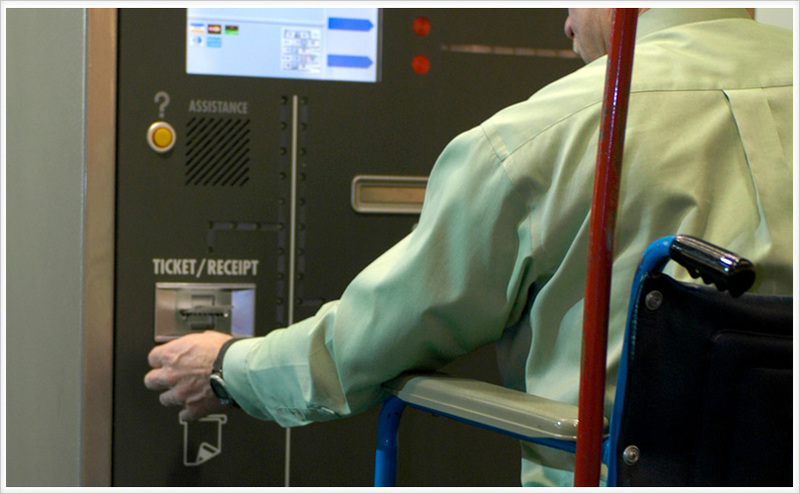 All Quick Pay parking payment machines in the airport's parking garage are easily accessible to customers in wheelchairs.